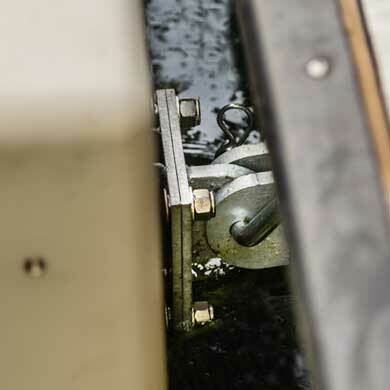 Connect to floating or fixed docks with the selection of accessories and anchoring options. 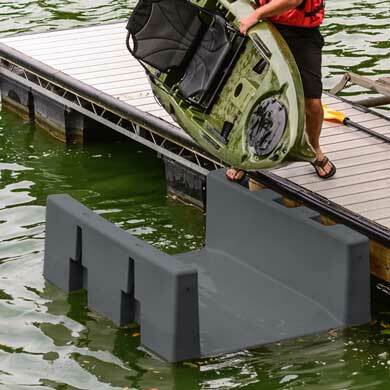 The YAKport Kayak Launch comes in five colors options to match your dock. YAKport can be installed to virtually any floating or fixed docks. Floating dock installations will use a set of metal hinges while fixed dock installations will use 2” poles and pole connectors. 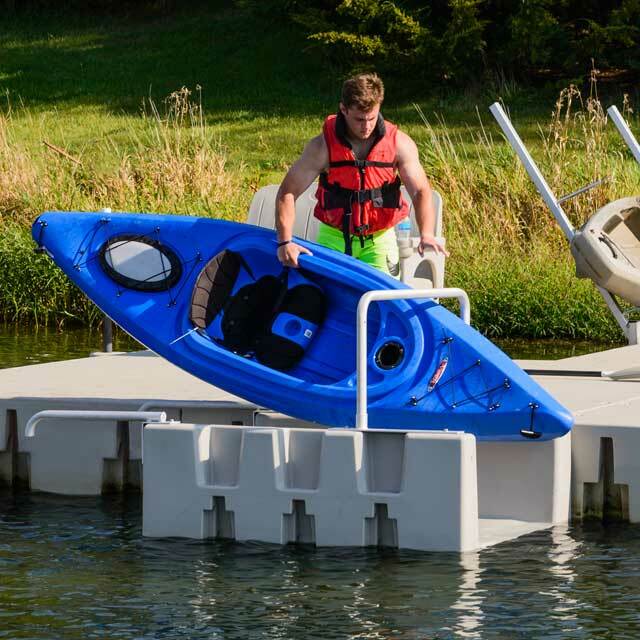 Need a little more floating dock next to your YAKport? 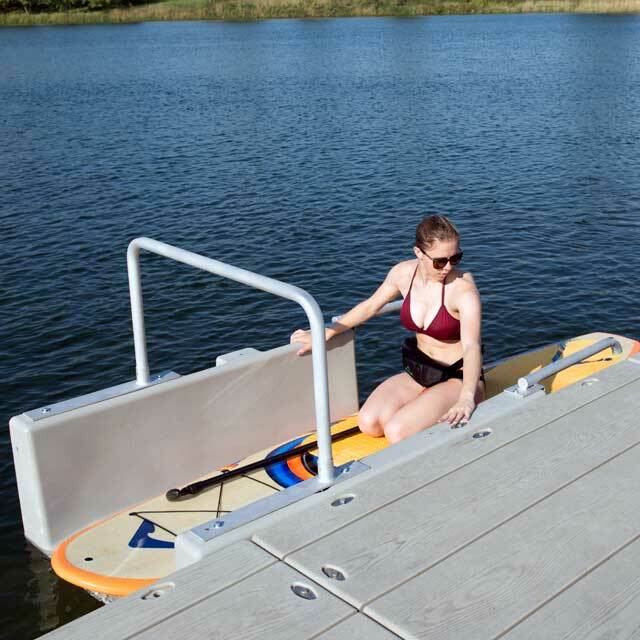 Connect-A-Dock modular floating dock can be added using the normal Connect-A-Dock float connectors. YAKport is made from highly durable UV protected polyethylene and comes in 5 different colors to match your existing color scheme – Tan, Light Grey, Dark Grey, Blue and Black. Optional overhead and entry handles are available. YAKport is a personal paddle sport launch which works great for not only kayaks but also canoes and paddle boards. It provides a safe and stable cradle for boarding and unloading. 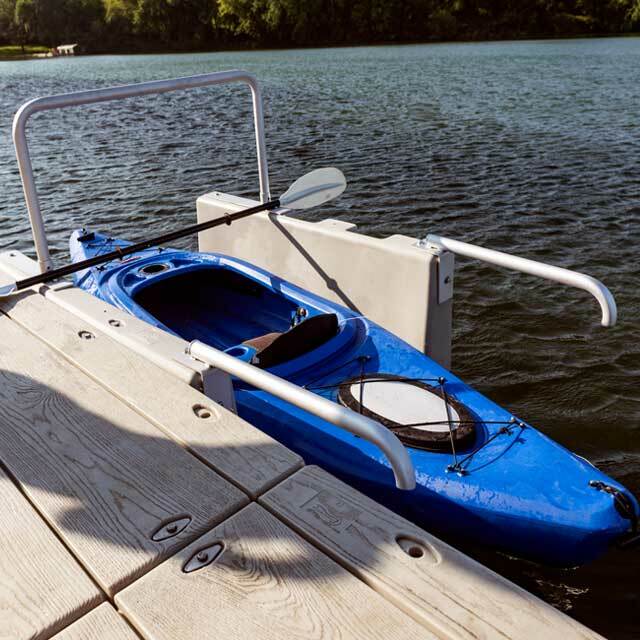 Simply place your favorite paddle sport vessel on Kayak Launch and enjoy a sure footed and stable entry right above water level. Then tug yourself into the water with very little effort. 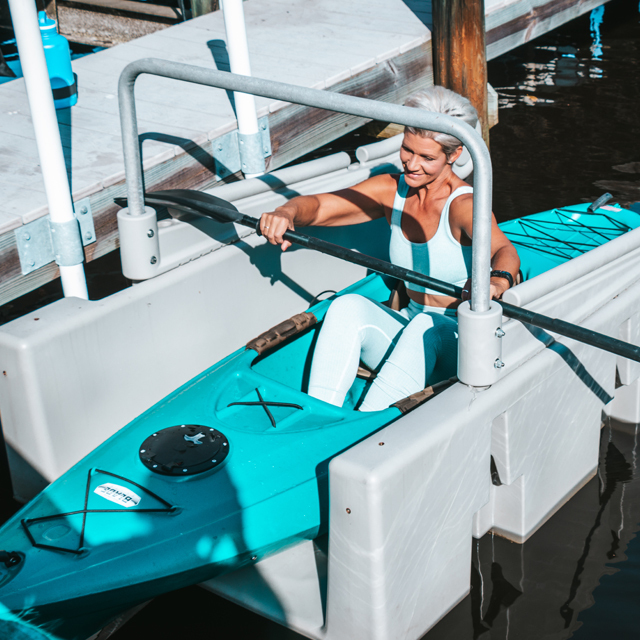 Once your paddling session is over, pull right back onto YAKport and enjoy the same stability and convenience while getting out. Now you have no excuses to get out and enjoy the water! Launch Stand Up Paddle Boards - Place the Paddle Board's fins over the edge of the YAKport into the water. Then back out to launch.